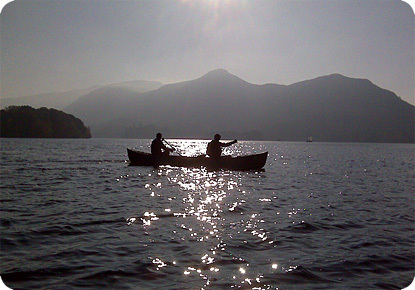 Explore the scenery of one of England’s most picturesque lakes using our stable canadian canoes take in the sights, visit an island or two and learn the essential skills to propel your craft across the water. 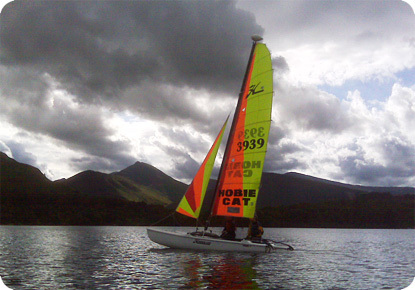 We teach you the skills to propel, steer and handle your boat for the prevailing conditions on the day and tailor a journey to best suit those conditions. 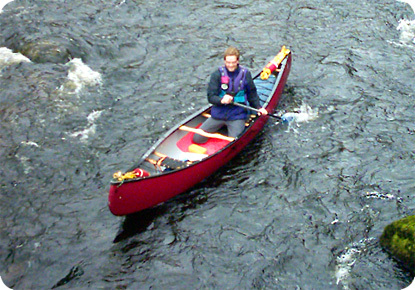 If you are more familiar with canoeing and want to take it further we can also run solo canoe handling sessions and get into the more technical aspects of the sport. As part of a mostly water based day you will be shown the techniques neccessary to handle an open boat on your own with tips on paddle strokes dealing with the wind and rescue skills as well as information on the historical aspects of canoeing, boat design, environmental considerations and much more we will ensure you leave us with enough information and the practical skills to confidently paddle a canoe solo. Once you are confident on flat water the next logical step is to move onto rivers, the skills learnt on the lake will be translated to moving water where a confident understanding of the different forces on the boat is needed. Under the guidance of one of our experieced coahes you will be shown how to read the water, avoid obstacles and given statagies for successfully shooting rapids. Our open canoes are stable, comfortable and versatile. We will supply you with all the equipment needed and a drybag for anything you would like to take along and fit you with a buoyancy aid. After a land based safety briefing we will launch onto the water to learn the basic skills. When we are confident that everyone is ready, we will set off on our river journey. One of the best ways of exploring the beautiful landscapes of the British isles is to travel down one of its rivers by boat, enjoying the constant change in scenery and the nature of the river itself . 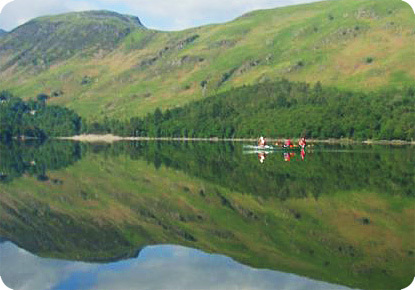 We can offer a wide range of trips geared towards what your group would like to take from the experience. So whether you’re wanting a gentle afternoon on a slow river or a multi day wilderness experience on white water our canoe instructors are all highly qualified, professional and friendly so rest assured you will have a truly memorable journey. Our fully trained and accredited instructors provide the knowledge and skill to ensure you make the most of your time with us – whatever the weather!! Please note - as we are an outdoor activity centre we cannot take bookings for groups undertaking activities with other providers without prior arrangement.